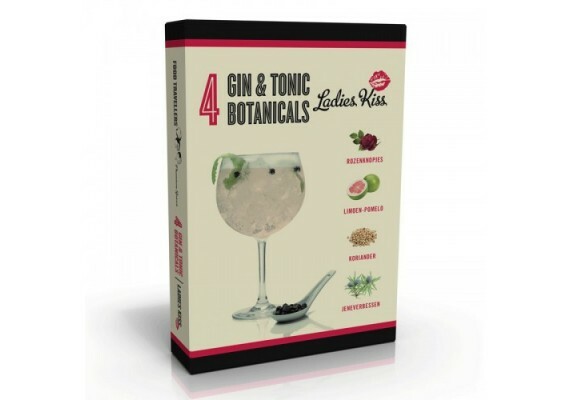 Four botanicals that will bring your Gin & Tonic to an entirely new level. 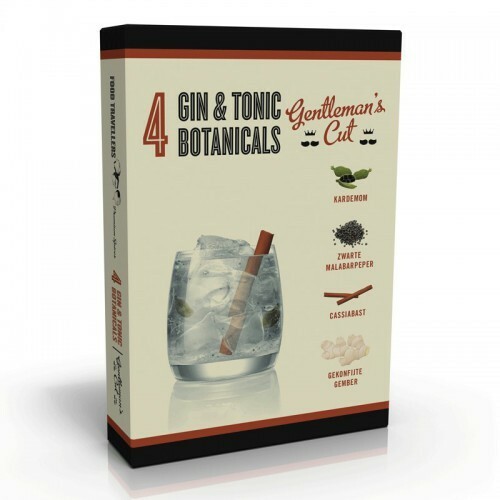 Packaged in glass tubes with cork, including a recipecard for the best combinations of gin, tonic and botanical. Forbidden fruits: physalis, cinnamonapple, mulberry and goji berry. Gentlemen's cut: cardamom, black malabarpepper, cassiabark and candied ginger. 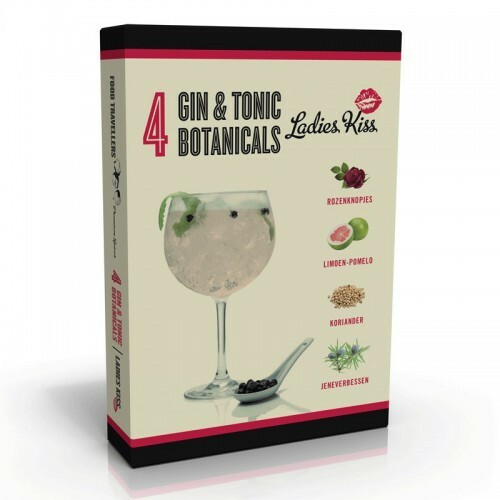 Ladies kiss: rosebuds, limepomelo, coriander and juniper.